If aliens from Mars crash-landed in my backyard (assuming I had a backyard), I would make them watch these movies before taking them to my leader (assuming they didn’t kill me first). “Thank You for Smoking” to show the weird way our government works. “Breakfast at Tiffany’s” for appreciation of glamour, love and all else that Audrey Hepburn embodies. 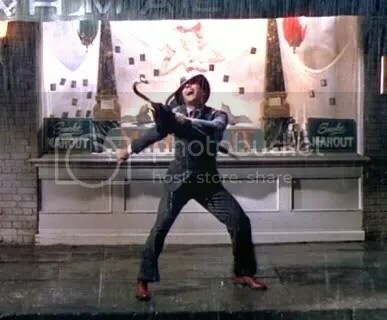 “Singing in the Rain” to illustrate the wonderfulness that is random breaking into song. “Heathers” because even Martians should be afraid of teenagers. Update: I removed “Mars Attacks” from this list after a Martian told me it was an inaccurate and offensive depiction of the species, “We look much more like that cute little boy from ‘Martian Child’ than we look like those big-brained fiends.” My deepest apologies to any offended aliens.